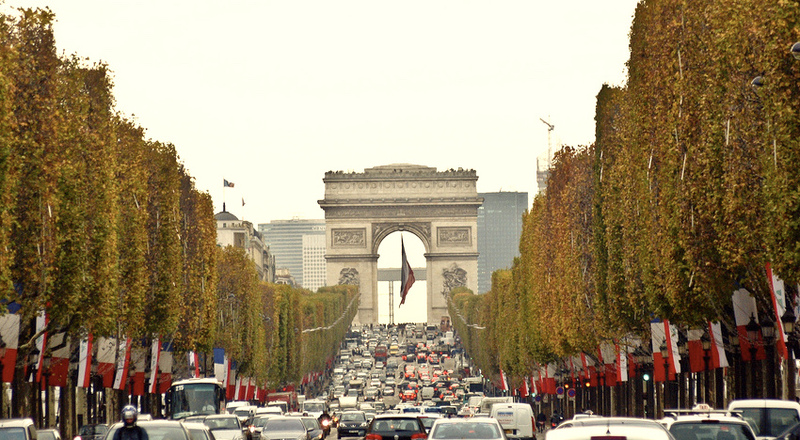 French farmers, in protest of rising costs and decreasing productivity brought their farms to one of the most famous avenues in the world, the Champs-Élysées. Over 2 million people visited the 150,000 plants and animals that nearly covered the entire avenue. Income levels for farmers have dropped over 34% between 2008 and 2009, leading to demands for greater government assistance in the forms of subsidies and price protections. The current European Union farming subsidy gives more than €45 billion to farmers, but is set to expire in 2013 with negotiations for the new program already underway. Claiming that the event was not created as a protest, the farmers insist that it was designed to bridge the gap between the rural farmers and urbanites and improve communication between the different classes. Politics aside, the spectacle was an unforgettable experience. Thousands of visitors were seen snapping photos with their mobile phones, and getting first hand glimpses of pigs, cows and sheep.